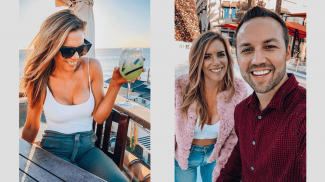 Twitter was the first social media network that made influencers more reachable. It has never been easier to pitch to someone who can make an impact (and thus become influential as well). Knowing who influences your potential customers and winning their trust is gold… yet it’s not easy. 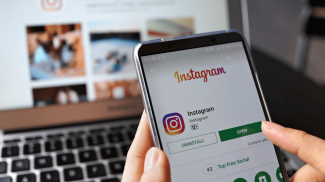 The first step in influencer marketing is identifying those influential people who are already interacting with you: Those are your most effective targets because you have already managed to get their attention. Below are 7 free tools I am using to interact with influencers who know me or are familiar with what I do. 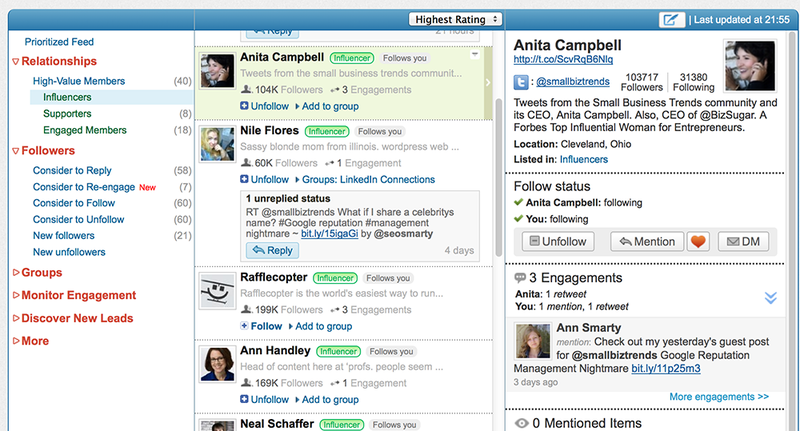 You can rate results by “Highest rating” to see MOST influential users who have ever interacted with you. 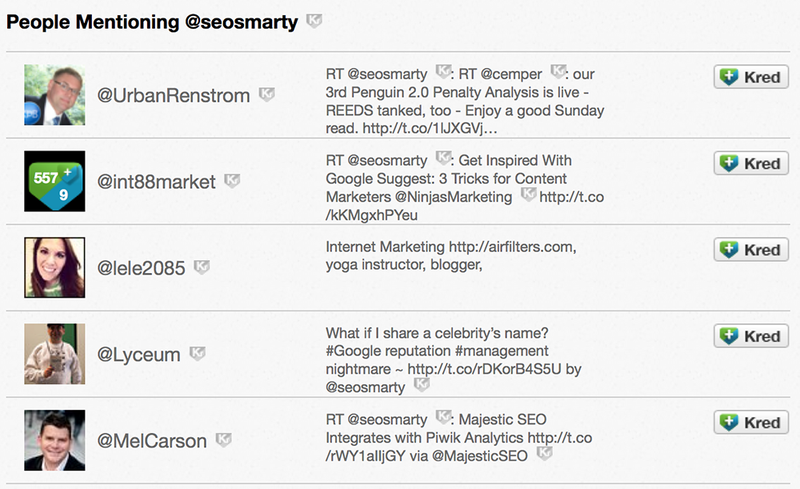 That’s one of the most robust influencer-management Twitter tools I have ever used. New Klout “Moments” feature is another interactions manager you need to look into. 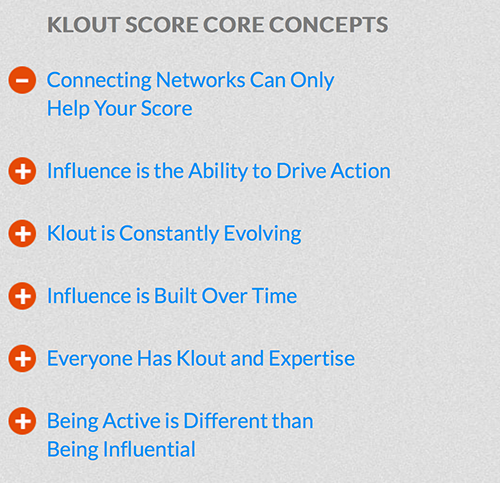 You can control which “Klout” score users who have recently interacted with you have. I like it that it shows “verified icon” overlaying the Twitter avatar which makes it easier to find “real” influencers following you. Fruji is another great option here. What I like most about this tool is that it breaks your followers into groups by the number of followers. Another cool thing is the YAS Factor (You Are Special), indicating a higher chance of that person noticing your tweets. 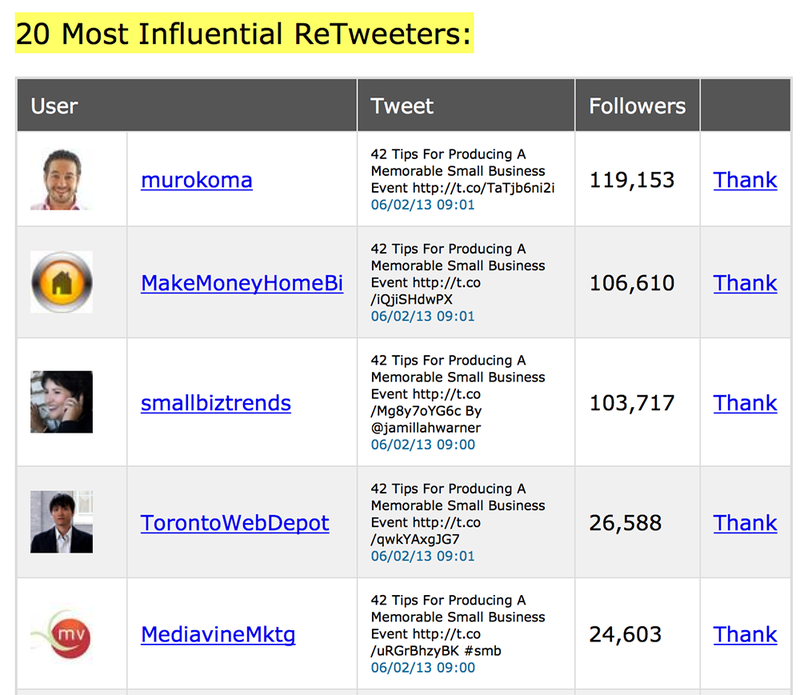 What other free tools are you using to interact with Twitter influencers in your network? Thanks Ann for sharing this information with us. I have tried few of this tools but now i will check remaining one as well. Very useful list, Ann – I’ve been looking into some of these tools lately. 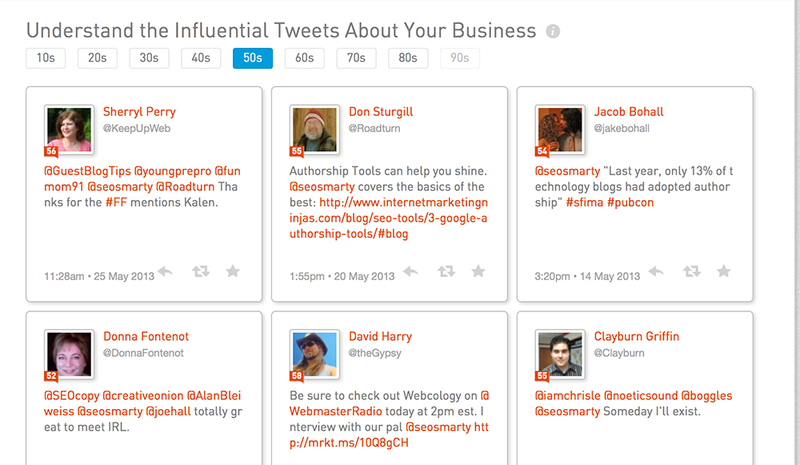 Question: any ideas on tools analyzing Google+ influencers? Not that I am aware of right now but definitely something to look into! I wish Google+ provided developers with API access to rightfully access that information! Thanks, Ann! 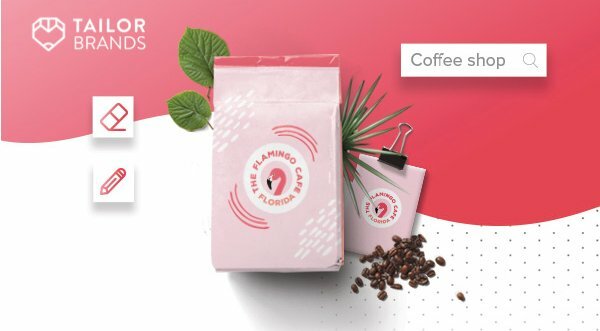 Have you tried Cyfe yet? 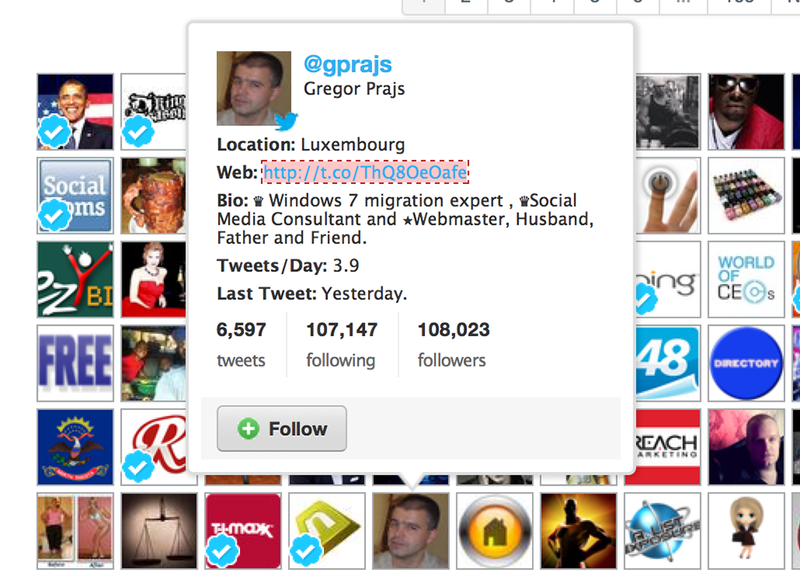 We currently use it for tracking who our Twitter influencers are. I clearly need to revisit Cyfe to see what it can now do! Thanks for the head-ups! The main problem here is these tools are primarily basing “influence” on follower count, social amplification and activity. That’s not influence; it’s popularity and share of voice. Do you know of any tool that measures influence properly? Good article Ann. I use a handful of these tools myself, but agree with Danny in that these platforms primarily only look at numbers of followers and amplification. A user could have a million followers, but if only 2000 of them are active, then the perceived influence is obviously greatly diminished. Also, I agree with Peter – Cyfe is fantastic. Well worth the investment to go Pro. Being able to consolidate all of the analytics streams into one dashboard – priceless! Hi Ann, would you like to give a try to webfluenz? 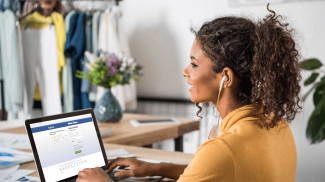 We offer influence score for sources from 7 different channels including blogs, microblogs, networking sites, forums, videos, news and images. 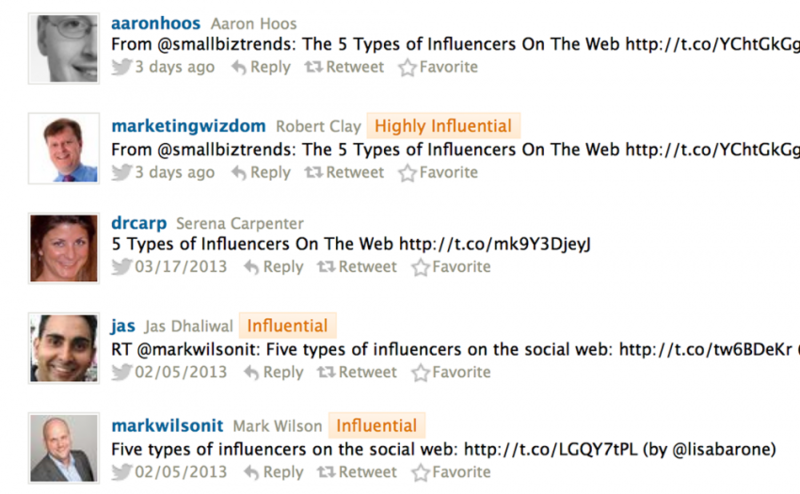 One can get influencers from Twitter or from across the social media channels. Do let me know if you would like to explore our tool. I would be happy to give you a demo. I hope there comes a day when quality matters more than quantity. In the end, I think we are all better off with authenticity than with the flood of low-quality information. Bottom line, there is no quick and easy way to get traffic to your site other than writing good articles on a consistant basis. If a traffic scheme seems sounds to good to be true it most probably is. One can get influencers from Twitter or from across the social media channels. Do let me know if you would like to explore our tool. I would be happy to give you a demo. I only knew about Klout. Will surely check other tools listed in the post. Used commun, It was good. Will try the rest very soon when i get time.